Weekends offer the chance to explore the many markets that take place within moments of Hinterland House. Most of the small towns hold their own markets on various days of the month, where local farmers, artisans and producers gather to sell their wares and greet customers with a friendly smile. 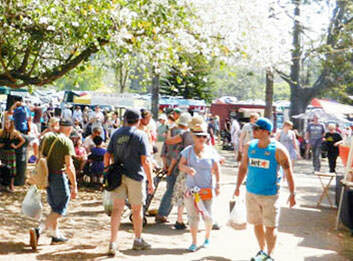 It’s a pleasure to walk amongst the stalls to sample and see the finest of the Byron Bay region. Many markets include live entertainment or music too, providing the perfect excuse to linger in the sunshine before collecting your fresh organic produce for the week ahead. At Hinterland House you’re just a one-minute drive from Bangalow’s very special markets that take place at the showgrounds on the fourth Sunday of each month. Arrive between 9am and 3pm to wander beneath the towering trees and take in the stalls of antiques, clothing, jewellery, homewares and food samples. It’s a wonderful way to experience Bangalow, starting with breakfast at the markets followed by lunch at one of the excellent cafés. Be sure to head into town on Saturday mornings too, as the farmer’s market offers up delicious fresh produce from 8am until 11am every week in the Bangalow Hotel carpark. The Byron Bay region tends to attract an incredible array of creative folk and you’ll find many of them at the Byron Bay Community Markets each first Sunday of the month, as well as the third Sunday in December and January. From 8am until 3pm the Butler Street Reserve comes alive with colour as makers gather their artworks, handcrafts and delicious fare for regulars and visitors to experience. Find yourself a sweet treat for breakfast, spot a unique bag or take home an outfit from a local designer. Buskers complete the setting with strains of acoustic music drifting throughout the stalls. The Channon is a tiny gem of a village set west of Bangalow and can easily be visited along the winding road to the hippie haven of Nimbin. 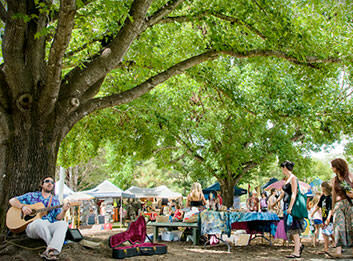 The Channon plays host to a well-loved craft market held on the second Sunday of each month, which happens to be one of the oldest of its kind in Australia. Explore over 240 stalls offering plants, art, candles and clothing, and soak up the loose and laidback vibe as you uncover new treasures. While you’re in the area, take the opportunity to visit beautiful Protestors Falls and explore walking trails through lush rainforest. 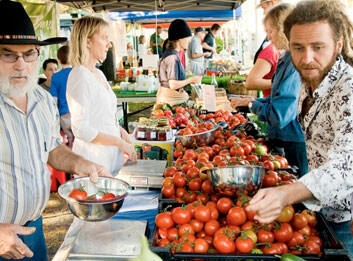 Be sure to centre any mid-week trips to town around the Byron Farmers Markets at Butler Street Reserve, because every Thursday morning between 8 and 11am you’ll find an amazing variety of seasonal produce straight from the farm gate. Much of this produce only travels a few kilometres from paddock to plate, which means you’ll taste some of the most delicious fruit, honey, vegetables and produce you’ve ever experienced. Some of the stalls offer certified organic produce. 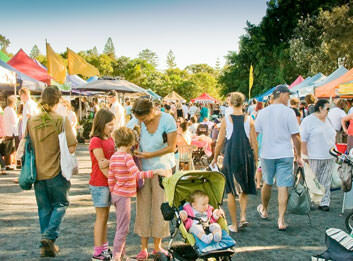 As with all of the local markets, it’s a chance to catch up and socialise, giving you a true taste of friendly Byron Bay.